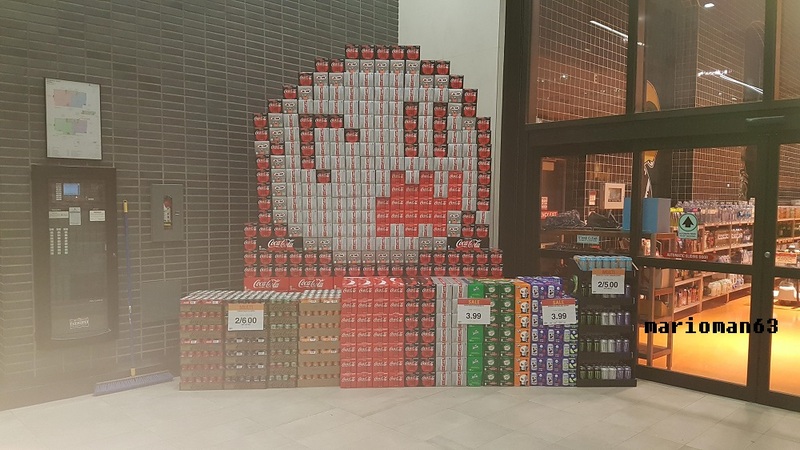 This isn't the first time we've seen soda cases used to make pixel art, but it's clear the trend is getting more and more popular. With Halloween right around the corner, what better time to work on a spooky pixel creation? Reddit user Marioman63 caught this display at his local supermarket, which is keeping things scary and cute with their giant Boo display. Now which store is going to try and tackle Dry Bones?! Haha, I shop at this store!